The film Mad Max: Fury Road won 3 awards, garnering Taurus awards in the Best Stunt Rigging, Best Specialty Stunt, and Best Stunt Coordination and/or 2nd Unit Direction categories. The film had 5 total nominations and featured winning stunts ranging from a motorcycle sliding under a tanker to stunt men perched on giant poles and made to move like metronomes. A car chase with cars racing down the side of a cliff from the film Furious 7 won the Taurus award for Best Work with a Vehicle. The film Furious 7also won in the Best Overall Stunt by a Stunt Woman category, honoring the stunt woman who was on the roof of a car during a high speed chase. An epic fight of a church congregation fighting each other from the film Kingsman: The Secret Service won in the Best Fight category. The Lifetime Achievement Award was awarded to Andy Armstrong, a talented stuntman, stunt coordinator and 2nd unit director. Andy began his career in stunts in the early 1970s, working as a vehicle stunt performer and assistant director. He worked on action sequences from iconic the James Bond films The Man With the Golden Gun, The Spy Who Loved Me, and Moonraker. From there he went on to coordinate and perform in films such as Hoffa, StargatePlanet of the Apes, , I Robot, The Green Hornet, Thor, The Amazing Spiderman, and The Amazing Spiderman 2. Andy continues to direct and coordinate stunts and is an active member of the stunt community. 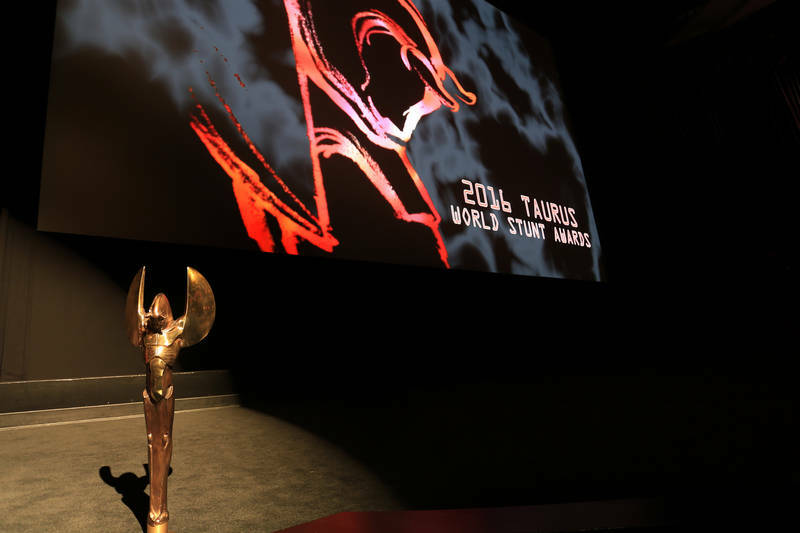 It is our pleasure to congratulate the 2016 Taurus World Stunt Awards winners!